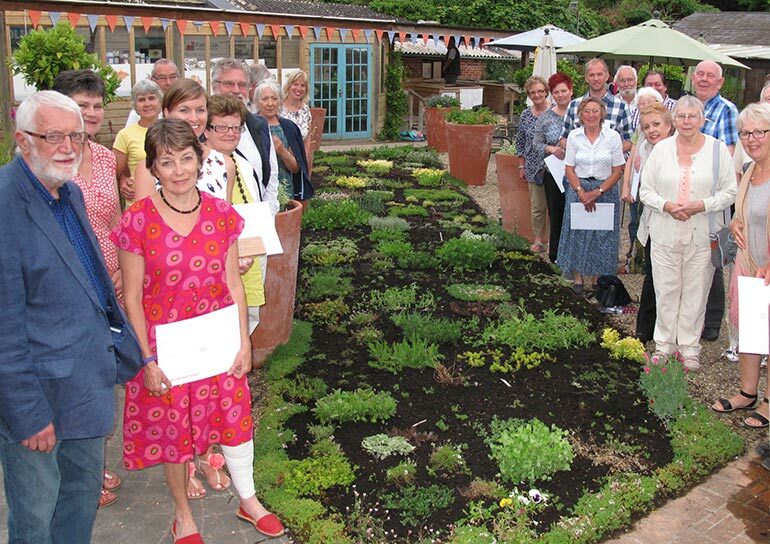 Dorset’s most wildlife-friendly gardens were honoured at Castle Gardens in Sherborne on Thursday 21 July, in Dorset Wildlife Trust’s annual Wildlife Friendly Garden Competition. The competition, which is sponsored by The Gardens Group, saw 43 entries this year, from schools, visitor centres and tourist attractions around the county. A new category was added in 2016 for rented accommodation, to promote the idea that everyone can provide a more welcoming habitat for wildlife, without necessarily making structural changes to the garden. Before the winners were announced, British bat expert, Nick Tomlinson, conservation officer at Somerset Wildlife Trust, gave a fascinating talk about the importance of bats and their role in garden biodiversity. Dorset, home to 16 species, is the most diverse county in the UK for bats, and Nick provided some useful advice and tips on how to give bats a warm welcome to the garden. Following the awards ceremony, everyone went home with a certificate, feedback form and gift voucher for The Gardens Group garden centres located in Sherborne, Yeovil and Poundbury, Dorchester. Winners received Dorset Wildlife Trust membership for a year, a wooden plaque, and a gardening kit.